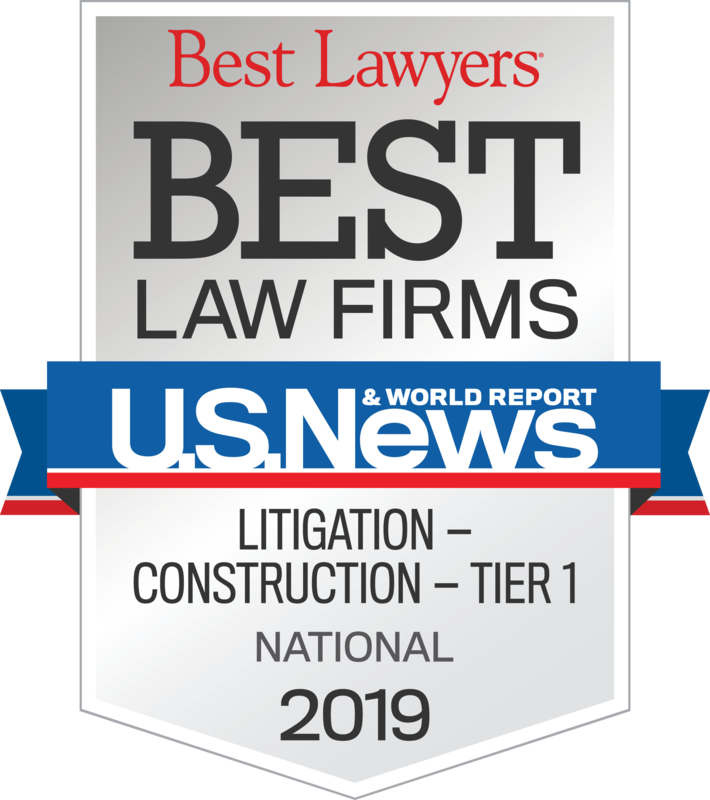 Tysons Corner, VA, United States, November 1, 2018 -- U.S. News & World Report and Best Lawyers®, for the ninth consecutive year, announce the "Best Law Firms" rankings. Varela, Lee, Metz & Guarino, LLP has been ranked in the 2019 U.S. News - Best Lawyers® "Best Law Firms" list nationally in 2 practice areas and regionally in 3 practice areas. "Our company has a long relationship with Varela Lee. They have successfully handled numerous large, complex, high-exposure matters for us, and have done so with with great skill and professionalism. I highly recommend their excellent lawyers for construction/design professional liability cases." "Great strategists. They understand the importance of thorough preparation while adhering to budgets. I would trust them with any of my construction advice or litigation needs." "Top notch lawyers with expertise in all facets of construction litigation. Aggressive but attuned to client's desired outcomes and not focused purely on their own litigation win. First stop for all construction litigation nationally." 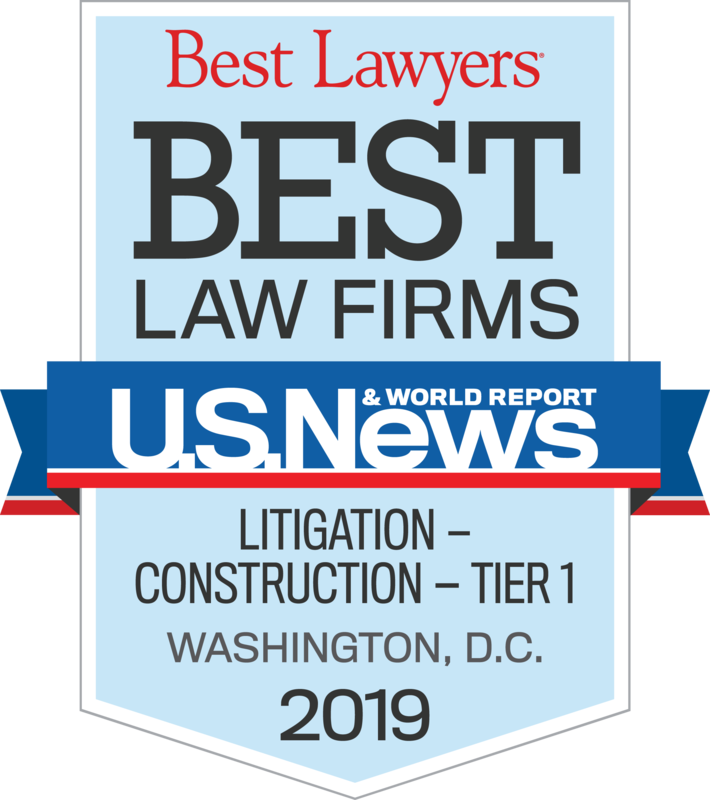 U.S. News & World Report and Best Lawyers has recognized Varela, Lee, Metz & Guarino, LLP in 2018 "Best Law Firms" rankings nationally and for the Washington, D.C. metro area in the practice areas of Construction Law and Litigation - Construction. 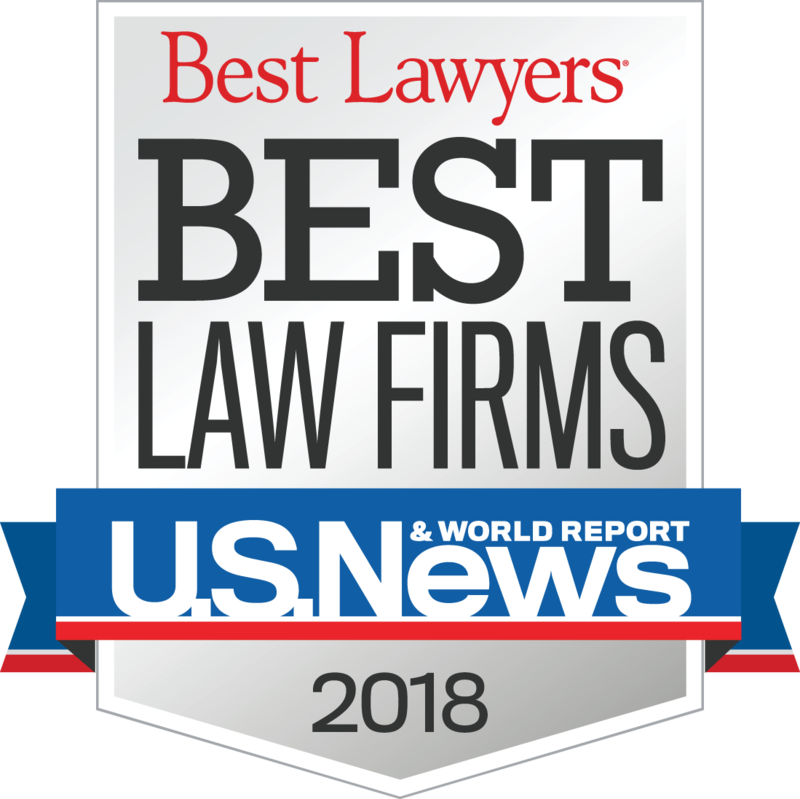 Each year, the publication recognizes firms based on performance in legal practice areas as reported by clients, as well as feedback from peer practice area attorneys at other firms and information provided to U.S. News - Best Lawyers as part of its annual law firm rankings survey. "As a former managing attorney for large engineering and construction companies, Varela, Lee, Metz & Guarino has been my "go to" firm for construction litigation and disputes. I have retained Paul Varela and his firm for litigation and disputes involving national and international projects. The amounts in dispute have often exceeded $10 million and much larger amounts. The firm has a superb understanding of the engineering and construction business and exhibits broad depth of experience and knowledge." "Varela, Lee, Metz, & Guarino focuses upon the engineering and construction industry and, as a result, is able to bring a wealth of experience and knowledge to complex matters, as well as practical solutions to business disputes. Their attorneys are seasoned litigators who can advocate vigorously and effectively. I recommend them highly." "I have worked with Varela, Lee, Metz & Guarino attorneys on several important construction law matters over the years. They are knowledgeable, responsive, and easy to work with. I recommend them highly." "Joseph (Joe) Guarino of Varela, Lee, Metz & Guarino is a terrific litigator. He has excellent instincts, is very sharp, and is great at spotting issues. He is an extremely zealous advocate. Joe is among the very best at deposing and examining witnesses. He is a fantastic bargain for such high quality work." "Varela, Lee, Metz & Guarino is extremely knowledgeable about all aspects of the construction industry. They understand and are responsive to the client's needs and do not just apply the litigation playbook. They think outside the box." "Varela, Lee, Metz & Guarino treats both large and small with the same level of intensity and economy. The firm is cognizant of the business needs of the client and is always looking for ways to obtain the maximum leverage to maneuver a case into settlement whenever possible." "I have worked with several members of Varela, Lee, Metz & Guarino and have received excellent advice and prompt service from each of them." 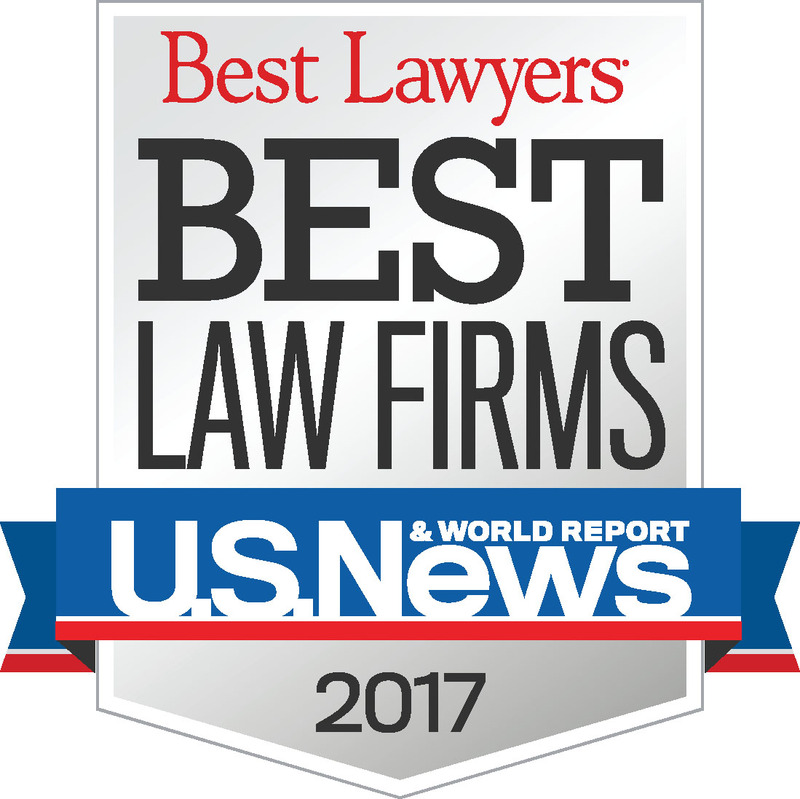 U.S. News & World Report and Best Lawyers has recognized Varela, Lee, Metz & Guarino, LLP in 2017 "Best Law Firms" rankings nationally and for the Washington, D.C. metro area in the practice areas of Construction Law and Litigation - Construction. Each year, the publication recognizes firms based on performance in legal practice areas as reported by clients, as well as feedback from peer practice area attorneys at other firms and information provided to U.S. News - Best Lawyers as part of its annual law firm rankings survey. "VLMG are great litigators because they understand the disputes thoroughly and communicate the critical issues in an easy-to-understand manner." "Joe Guarino is a terrific litigator. He is extremely bright, tenacious, and has great instincts. His services are an excellent value." "VLMG attorneys are strategic thinkers that know contract law and the businesses in which their construction owner, engineer and contractor clients operate." "Bennett Lee of Varela, Lee, Metz & Guarino is very intelligent, diligent, and responsive. He obtained excellent results for our company." "The Varela, Lee, Metz & Guarino team has a deep bench of responsive and aggressive construction law practitioners. I know that I will be in good hands with their team and that they will be responsive and aggressive as required to get the matter to the finish line." Varela, Lee, Metz & Guarino was named by U.S. News - Best Lawyers as a "Best Law Firm" for 2016, achieving rankings both nationally and in the Washington, D.C. metro area in the categories of Construction Law and Litigation - Construction. "The lawyers at Varela, Lee, Metz & Guarino are all seasoned construction litigators that understand the particular nuances of construction disputes, of which there are many." "The Varela, Lee, Metz & Guarino law firm is exceptionally knowledgeable in all facets of construction law; successfully advising my company on several matters before they matured into disputes. The partners have so much collective experience that, as a client, you know that your issue is being handled correctly, efficiently and with the input of many experienced lawyers." 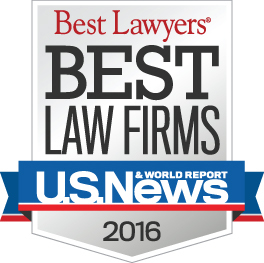 Firms included in the 2016 U.S. News Best Lawyers® Best Law Firms listing are recognized for professional excellence, quality law practice and breadth of legal expertise. Based on a rigorous evaluation process that includes the collection of client and lawyer evaluations, peer review from leading attorneys in their field, and review of additional information provided by law firms as part of the formal submission process, the listing honors firms that have consistently received impressive ratings from clients and peers. Awards were given in 74 practice areas, while as many as 120 practice areas were covered on the metropolitan lists. To be eligible for a ranking, a firm must have a lawyer listed inThe Best Lawyers in America, which recognizes the top four percent of practicing attorneys in the U.S.
Varela, Lee, Metz & Guarino was ranked in the 2015 Edition of U.S. News - Best Lawyers "Best Law Firms" Nationally and for the Washington, D.C. Metro Area in the areas of Construction Law and Litigation - Construction.